For more than half a century, the Fort Lauderdale International Boat Show has been a mainstay on the fall show circuit, but the world’s largest in-water show isn’t resting on its laurels. It’s continuing to grow and change with the times. The show features more than $3 billion worth of boats and marine products — superyachts, tents full of accessories, a convention center packed with boats — and offers a fun, boating-friendly atmosphere with something for everyone. 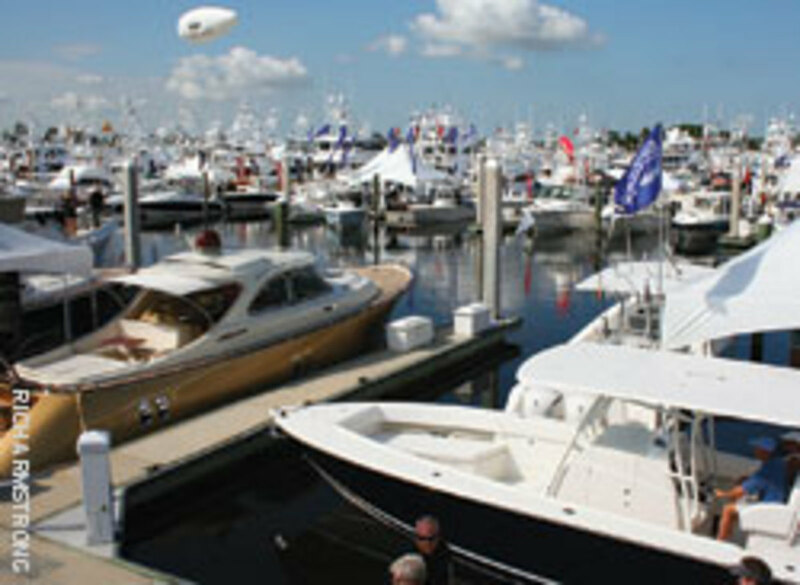 FLIBS encompasses more than 3 million square feet of space on land and in the water over a 6-mile area. It takes place Oct. 27-31 at six locations: the Bahia Mar Yachting Center, Hall of Fame Marina, Las Olas Municipal Marina, Hilton Fort Lauderdale Marina, Broward County Convention Center and the Sails Marina. An intricate network of shuttles, water taxis and riverboats runs between the locations. Efrem “Skip” Zimbalist III, CEO of FLIBS producer Show Management, said in mid-August that all indicators point to a successful show this year. At that time, the number of exhibitors was up 10 percent — 673 had signed on versus 616 at the same time in 2010 — and revenue was up about 8 percent, Zimbalist says. Sales of e-tickets were running about 5 to 8 percent ahead of where they were last year in mid-August. Last year the show featured almost 1,000 exhibitors and was up about 5 percent in terms of numbers and dollars. Zimbalist says he thinks the total space sold will be up, although this year’s show will feature more large vessels, which may reduce the total number of boats. For the first time, the show will feature at least five boats exceeding 200 feet. Zimbalist acknowledges that the economy and the discourse in Washington, D.C., aren’t helping boat sales. “I think anything that is bad for consumer confidence is not good for the show, and so I think that the budget wrangles and the debt ceiling wrangles are not positive for anybody, but especially for people who are planning significant capital expenditures,” he says. “On the other hand, the people who are buying boats, especially boats over a certain size, have significant net worth and there’s a lot of pent-up demand out there. I’m expecting if things don’t get any worse that attendance will be up this year and the boat sales will be up. “I’m hoping Congress and the administration get together between now and the show … and they’ll get their act together and put something together that everybody can support and get behind, and I think that would be a huge positive for the economy if that happens — and for the show,” Zimbalist adds. Despite the sluggish economy, he says there are bright signs in the industry and demand is slowly improving. “I’m encouraged by, through July, a lot of the new-boat categories are ticking up, where the comparisons for the first time in a long time are inching above the zero line. We’re seeing some positive growth. We’re not seeing that in the cruiser segment yet — those are still getting hurt — but in a lot of other segments you are seeing that,” he says. Boehmer says the show is important for gathering leads as well as sales. 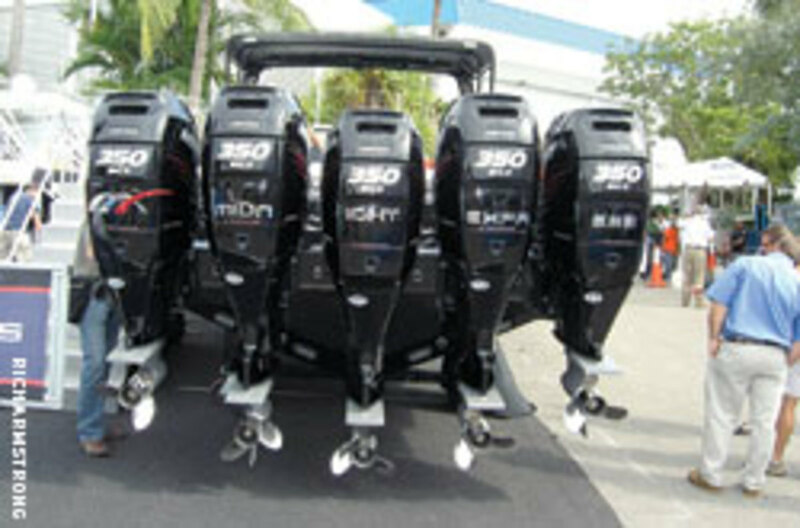 “Many relationships are started and also restarted at boat shows,” he says. Regal Marine plans to show seven boats at Fort Lauderdale, including three 2012 models: the 24 FasDeck, 28 Express and 35 Sport Coupe. The 52 Sport Coupe, though not a new model, will feature a new hard enclosure aft. 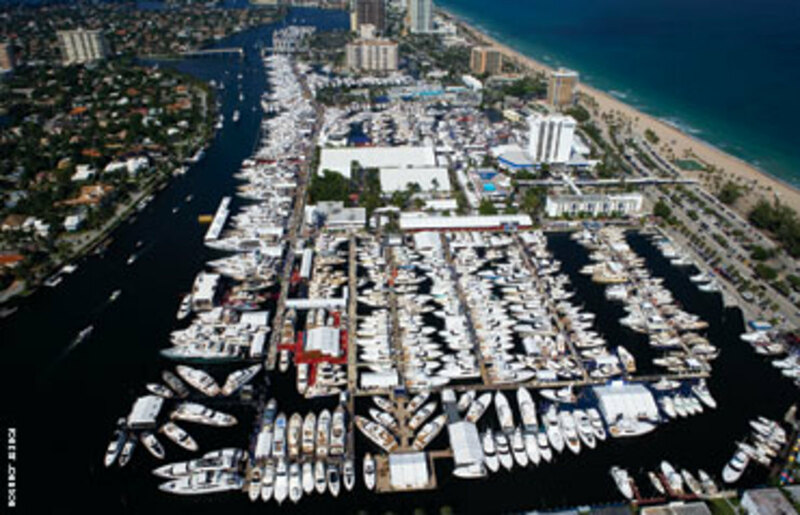 “[Fort Lauderdale] has been a selling show up until recently, and now it seems to be more an opportunity to show our boats,” says marketing manager Mark Kellum. “Shows, in general, have turned more into lead gathering and people kicking tires — what we call hull thumpers. I think the sales process itself has become much more complex and takes a lot longer than it used to. International Yacht Collection president Bob Saxon says he’s also looking forward to the Fort Lauderdale show following an active summer in which IYC completed 12 brokerage sales. “Given the remarkable ride on Wall Street and watching with a certain kind of amazed fascination the political gamesmanship over the deficit and debt ceiling, I’m encouraging our team to suggest to prospective yacht and charter yacht owners that there is perhaps no better hedge against economic uncertainty than a yacht,” he says. 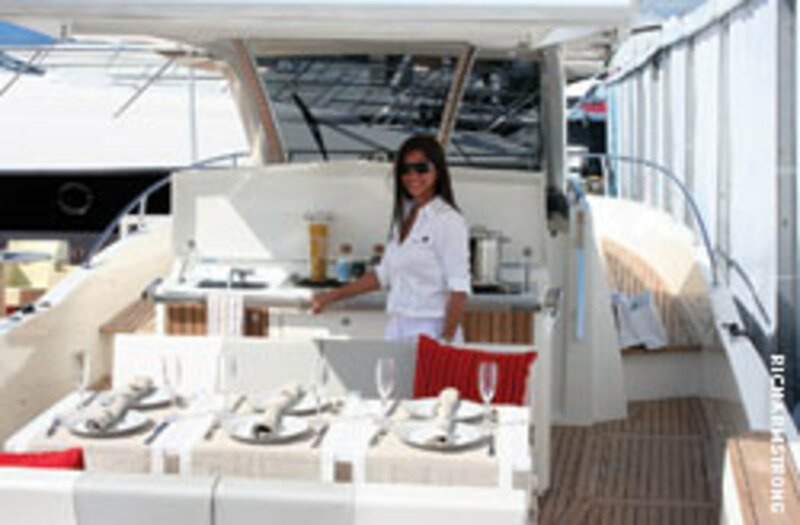 “Moreover, pent-up demand for yachts and yachting amongst our demographic has never been higher. The Superyacht Builders Association’s new 16,000-square-foot pavilion will showcase the world’s leading builders on a custom-built floating, air-conditioned barge along the Intracoastal Waterway at Bahia Mar. Adding to the new show design is a revamped superyacht docking layout offering up-close profile views of the largest yachts at the show. Zimbalist also says he’s excited about the inclusion of TrawlerPort at FLIBS. It was made possible by Zimbalist’s Active Interest Media’s purchase of PassageMaker magazine, Soundings magazine, Soundings Trade Only and other assets of Dominion Enterprises. A dozen or so trawlers will be grouped at the show, and seminars will be held in association with TrawlerPort. Zimbalist anticipates a couple of hundred signs at key locations. There are also plans for pocket maps and a smart phone app (see story, Page 24)that attendees can download, allowing them to search the show by boat type, manufacturer or vendor, in addition to providing information about restrooms, show offices and more. Also, he adds, the show is once again sending invitations — in the United States and overseas — to those who own boats beyond a certain length, personally inviting them to the event. 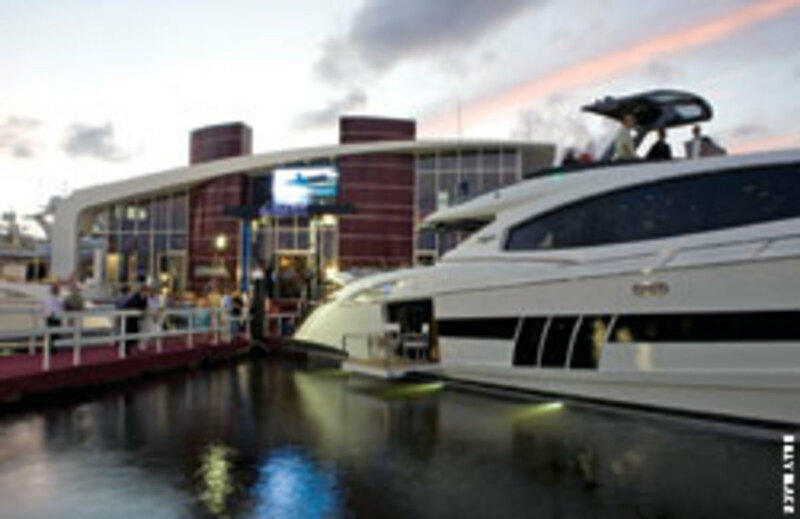 For more on the Fort Lauderdale International Boat Show, visit www.showmanagement.com.